For the greatest birthday parties in Minneapolis, come check out Splatball. The paintball matches held here will make any birthday especially memorable and we even offer special promotions for birthday groups. Our Minneapolis indoor location is in the heart of the Twin Cities. It features a 10,000 square foot urban combat arena as well as the largest retail store/tech center in Minnesota. The entire facility is climate controlled for maximum comfort. We even have an observation area and private party room. 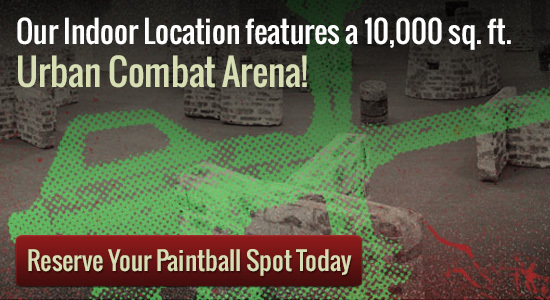 By taking your Minneapolis birthday party here, you can live out your paintball dream no matter how it plays out. Splatball birthday parties in Minneapolis are easy. They might require groups with a minimum of 8, and also the birthday player should be under the age of 18. This can be a very fun method to celebrate birthdays since it goes past the generic party formula and can allow the entire group to burn off excess energy from sugar consumption. You will find special packages readily available for kid?s birthday parties and advance registration is needed. For the best birthday parties in Minneapolis, Splatball is the perfect place to go. Both private play and walk-on play are available at Splatball. If you are looking for private group play the minimum group size is 8 players and reservations must be made in advance. You can reserve your spot by giving us a call at 612-378-0385. Spots fill up fast, so make sure to book at least a week in advance.